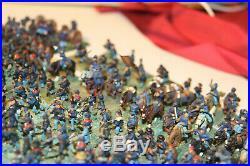 15mm Painted Union Infantry, Cavalry, Artillery and Officers , consisting of. 1 Corps Commander and 1 Divisional Commander stands. 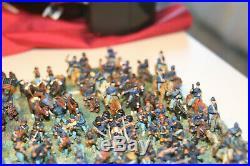 16 bases of five Infantry. 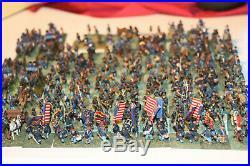 20 bases of four Infantry (including five Command stands). 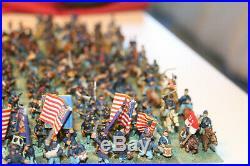 14 bases of three Infantry (including two Command stands). 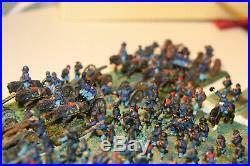 6 bases of a Field Artillery piece with limber, rider and three crew. 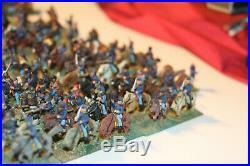 11 bases of two Cavalry (including two Command stands). 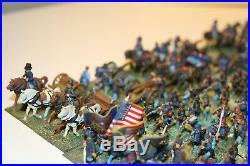 1 base of a Horse Artillery piece with limber, riders and three crew. 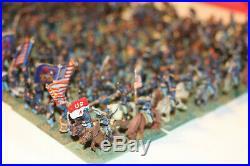 7 bases of two Dismounted Cavalry. 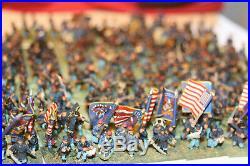 These figures are of unknown manufacture and are all well painted, matt varnished and based for Fire and Fury (on 1 inch wide and 3/4 inch deep bases). 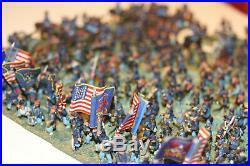 The item "15mm Painted Metal ACW Union army based for Fire & Fury (373 pcs)" is in sale since Friday, March 8, 2019. 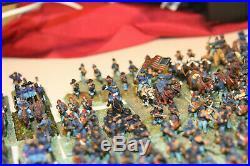 This item is in the category "Toys & Games\Wargames & Role-Playing\Table Top/Historical". The seller is "sparkyandtigger" and is located in Weymouth, Dorset. This item can be shipped to United Kingdom, Austria, Belgium, Bulgaria, Croatia, Cyprus, Czech republic, Denmark, Estonia, Finland, France, Germany, Greece, Hungary, Ireland, Italy, Latvia, Lithuania, Luxembourg, Malta, Netherlands, Poland, Portugal, Romania, Slovakia, Slovenia, Spain, Sweden, United States, Canada, Norway, Mexico, Switzerland.